The Volleyball Rose™ features petals handmade from volleyball material to create a bloom that lasts forever. 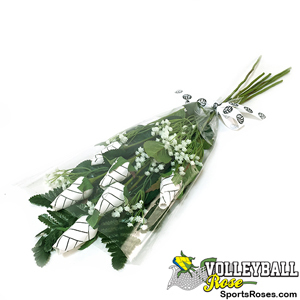 The bouquet arrangement option is an attractive way to present Volleyball Roses™ as a gift for a special occasion. 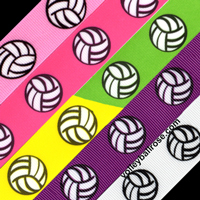 The Volleyball Rose™ features petals handcrafted from our own custom-designed volleyball material featuring the classic volleyball seam pattern. Choose 6 or 12 handmade Volleyball Roses™ in your bouquet arrangement. 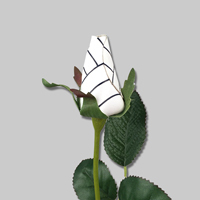 Volleyball Roses require no watering and will never wilt or die. A Volleyball Rose™ Bouquet arrangement is a unique gift idea for volleyball fans, players, team moms, and coaches. 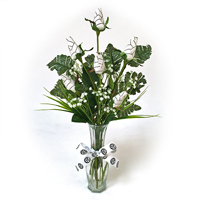 Volleyball Roses™ add a personalized touch for all occasions - senior night, graduations, birthdays, anniversaries, graduations, league awards, Mother's Day, Valentine's Day, Father's Day, and sympathy flowers. 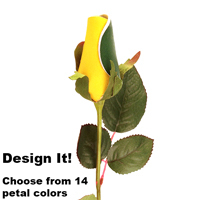 Petal Personalization: We can add short permanent message to one of the rose petals (up to 15 characters in length). 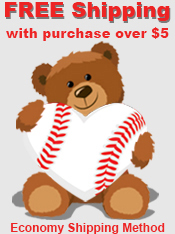 This is a great way to commemorate a special occasion like a player number, birthday, wedding date, tournament name, or special achievement. 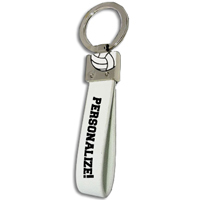 Custom messages will be printed in ALL CAPS in Athletic Style font with black print to improve visibility. Only the topmost rose will be customized. Contact us at 619-551-6651 if you would to customize more than 1 rose or use a different color text print (additional charges may apply).